Happy Friday! Hope you've had a great week. My first Friday Fave is Daylight Saving Time. 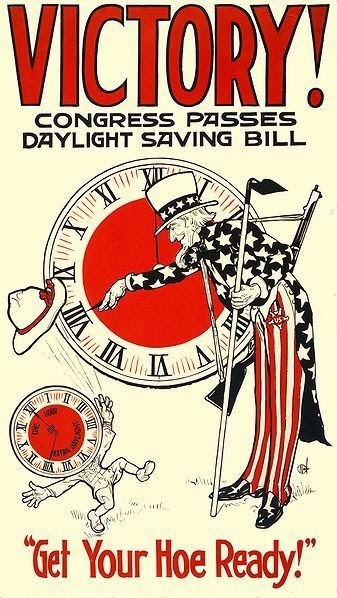 We spring forward Saturday night, and Sunday, March 9 will be the first day of DST. I like Daylight Saving Time: it always makes me feel energized, and I love sunlight that lasts later in the day. 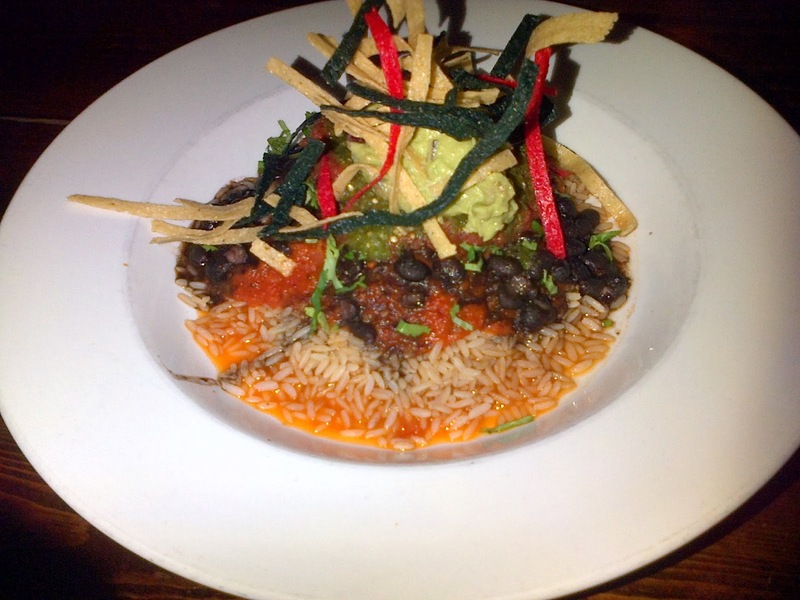 It is a layer of rice, salsa, black beans, tomatillo sauce (salsa verde), onions, tomatoes, and guacamole, with a little crown of tortilla chips. Yummy! Napoleon's is a fun little restaurant. I was there with a group for my Mom's birthday. (Happy Birthday, Mom!) 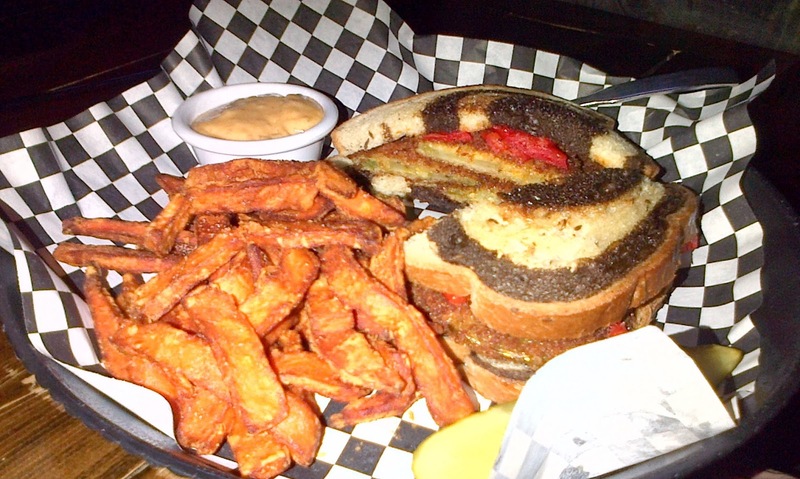 She had the fried green tomato sandwich on marbled rye, with chipotle mayonnaise and sweet potato fries. Napoleon's has several vegetarian entrees. I wish the restaurant had more vegan options, but you can special order and vegan-ize a few things on the menu. How about you -- how has your week been? What do you think of Daylight Savings Time? I hope you'll leave a comment below. I absolutely LOVE Daylight Savings Time and I really don't mind losing that hour of sleep because I know that Springtime is almost here! That is exactly how I feel -- spring is on the way!